By March, India witnesses receding winters and the onset of spring which brings with it the festival of colours. It is by far one of the quirkiest and most fun festivals in India where people of any generation play with water and dry colours in the streets. It is so awesome that many places in the western world have copied it. We want to explain to you why, when, where and how the festival is celebrated so that you can take the best out of it. If you are planning to come to India for the festival of colours India Someday can plan your trip with you so you end up celebrating it in the right spot. Holi is attached to a mythological tale about the good god Vishnu and his rival, the evil king Hiranyakashipu – try to pronounce that! The evil king’s son Prahlad didn’t want to join in his father’s gruesome game and followed Vishnu instead. Therefore, Hiranyakashipu sent his sister Holika to kill him. The aunt got her badass fireproof sari, took the boy into her lap and climbed a pyre, hoping to survive while her nephew would burn to death. When the pyre was set ablaze, Prahlad remained intact while Holika’s body went up in flames. Indians celebrate the triumph of good over evil every year by burning the Holi pyre one day prior to Holi. Holi is also seen as the festival of love. According to a legend, the deity Krishna who had blue-coloured skin wanted to get the attention of the fair-skinned Radha and therefore put dry colours in her face. It worked and they lived happily ever after! Therefore Holi is often used in Bollywood-Movies as a romantic scene for a hero to flirt with the heroine. Some people even say Holi is a simple celebration of the end of winter and beginning of spring, a thanksgiving for a good harvest or a reason to meet friends, flirt with girls and just have fun! When and which parts of India celebrate Holi? The day of Holi is the Phalgun Poornima (full moon) by the Hindu calendar which generally arrives in March, but the exact dates by the Georgian Calendar tend to vary. In 2018 Holi will be held on the 2nd of March, in 2019 on the 21st of March and in 2020 on the 10th of March. Holi celebrations are pretty much a pan-India phenomenon but it’s a big deal in the northern regions of Andhra Pradesh, Bengal, Uttar Pradesh, Bihar, Gujarat, Haryana, Himachal Pradesh, Madhya Pradesh, Maharashtra, Manipur, Orissa, Punjab, Rajasthan and also in the southern state of Tamil Nadu. It’s also celebrated amongst some tribes in the North-East. The biggest celebration happens in Mathura-Vrindavan, Pushkar and Varanasi. How is Holi celebrated in India? People are extremely enthusiastic about celebrating Holi, especially kids and youngsters, whom you’ll find filling water balloons from the night before. Communities of any kind, be it families, friends, housing societies, temple groups etc, organise the day weeks in advance. They come together, serve thandai (a milk beverage with spices and dry fruits) and bhang (a milk beverage with cannabis paste), dance in artificial rain, play with water guns and throw colours at each other. Mostly the games happen in the morning and the afternoon is used to relax and wash the colours off – which can take hours and may not be successful. In some places, there are also processions in the temples but the festival seems all together way less religious than other holy days. Best places to celebrate Holi while in India? North India is by far the most colourful and exuberant during Holi. Pushkar and Udaipur in Rajasthan and Varanasi in Uttar Pradesh are our favourites at India Someday. There’s something special about the way Holi is celebrated in these two holy places that cannot be duplicated anywhere else in India. Other cities where you can be part of the true Holi spirit are Jaipur, Jaisalmer and Jodhpur in Rajasthan, Mumbai and Delhi. Mathura-Vrindavan has the biggest public celebration and therefore is a little bit too much. There are many safety issues here, especially for women and girls. We would not recommend this. If you’re interested in a trip around Rajasthan to the mentioned cities and more, check out the best places in the region and different travel routes. If you’re a single girl, try to stick around with people you know well and are comfortable with. Don’t venture into public places alone, there are going to be a lot of inebriated men all over the place. You don’t want to have your celebration spoilt by some Roadside Romeos who are high on bhang or alcohol and have no idea what they’re doing. They tend to get aggressive so it’s better to steer clear. If you really want to take a walk, go early in the morning and come back before the celebrations kick in. Other general precautions are: avoid getting colour into your eyes, use only organic colours, drink only as much bhang as you can handle, don’t get high and jeopardize your safety, stick with your friends and be careful of spiked thandai or drinks. All in all, if you’re careful you’ll have a great time for sure! 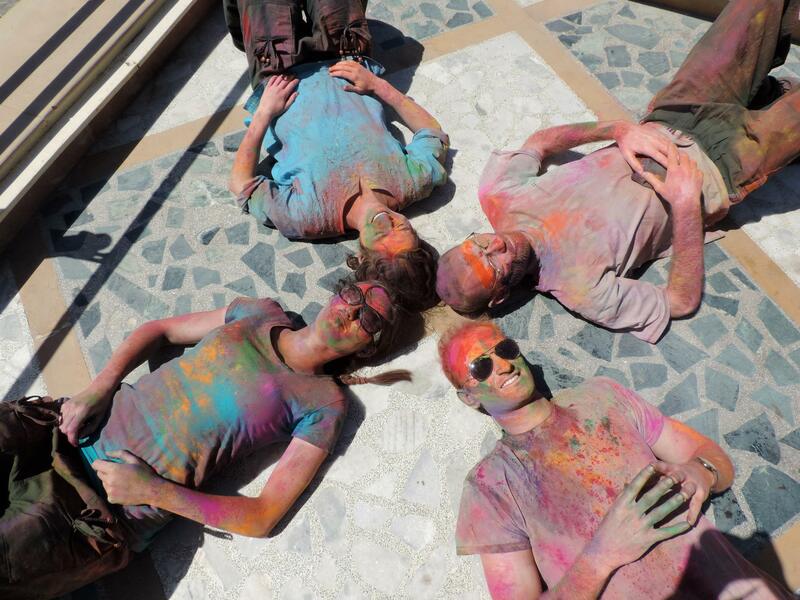 India Someday can help you have a great time during the Holi Festival India. 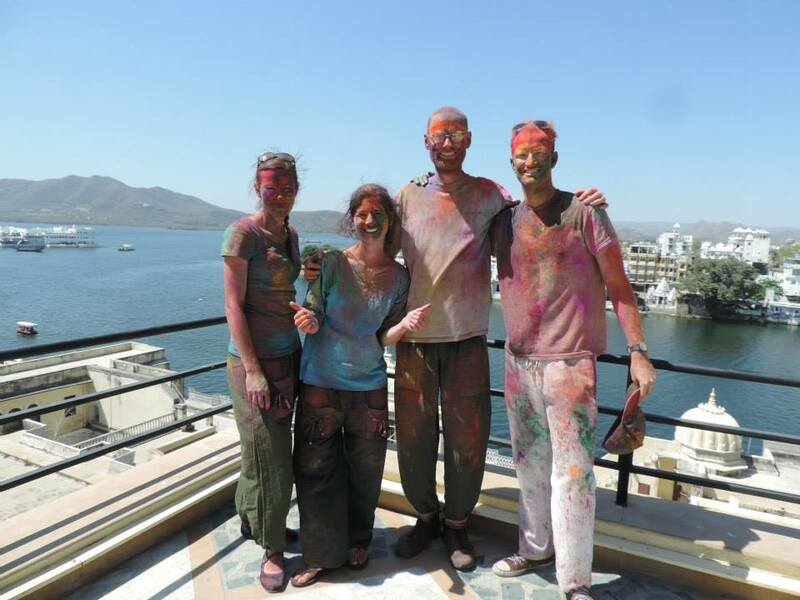 Plan your trip to India with us now and we can advise you how to fit the party in. Can’t come in March? Read here about other Indian festivals.